For 35 days, Donald Trump and Mitch McConnell kept our government closed and held DC in gridlock, but they couldn’t stop progress from being made right here in PA. Here are five under-the-radar wins PA Dems accomplished while Trump’s Tantrum dominated the news cycle. 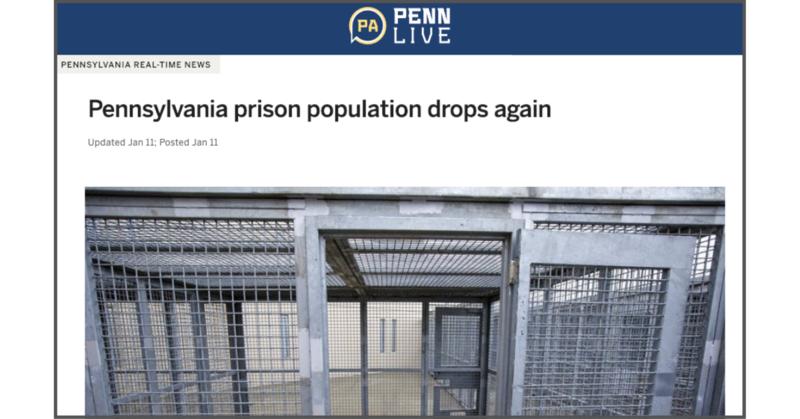 On January 11, Governor Wolf’s administration announced that Pennsylvania’s prison population fell 2.o% year-over-year, the largest yearly decrease ever recorded in the state. Under Governor Wolf, the number of PA inmates has decreased every year, and 2018’s decline was especially impressive. The incredible progress is undoubtedly linked to Democrats’ many criminal justice reform efforts. PA took a major step towards legalizing recreational marijuana this month, when the Governor and Lt. Governor jointly announced a statewide listening tour. Starting in February, Lt. Governor Fetterman will hold at least sixty-seven public forums on marijuana legalization, one in every Pennsylvania county. The Lt. Governor wants to hear every side of the issue so the commonwealth can make smart, measured decisions on what’s next for marijuana policy. Continuing its war of sabotage against the Affordable Care Act, the Trump Administration quietly attempted to cancel a rule requiring businesses to offer contraceptive coverage to women. Josh Shapiro took swift action by leading a nationwide injunction against Trump’s actions, and in January he won. In doing so, Shapiro ensured millions of women across America can still afford the birth control they need. Fresh off his second swearing-in ceremony, Governor Wolf wasted no time laying out the most ambitious climate goals in state history. It’s the first PA climate plan to adhere to the Paris Agreement. Wolf’s policies include increasing the number of hybrid vehicles in PA, decreasing state energy usage, and investing heavily in renewable energy jobs and infrastructure. His plan will decrease PA greenhouse gas emissions by 26% in six years. Republicans at every level are waging an all-out war on your voting rights, and that’s especially evident in Pennsylvania. Our commonwealth ranks in the bottom half of states in regards to voting accessibility. For more on the need for voting reforms and what PA Democrats are proposing, read Rep. Ryan Bizzaro’s op-ed on voting reform.